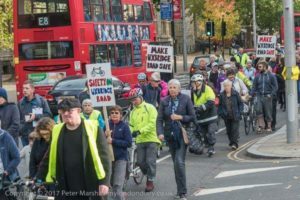 On Saturday 28th November the people of Ealing came together to pay tribute to Claudia Manera, a keen cyclist and runner who had dedicated her life to helping others – first as a policewoman and later as a personal trainer. Claudia tragically perished after a collision with a lorry at the junction of Northfields Avenue and the Uxbridge Road. Claudia passed away in hospital on 19th October, a week after the accident. 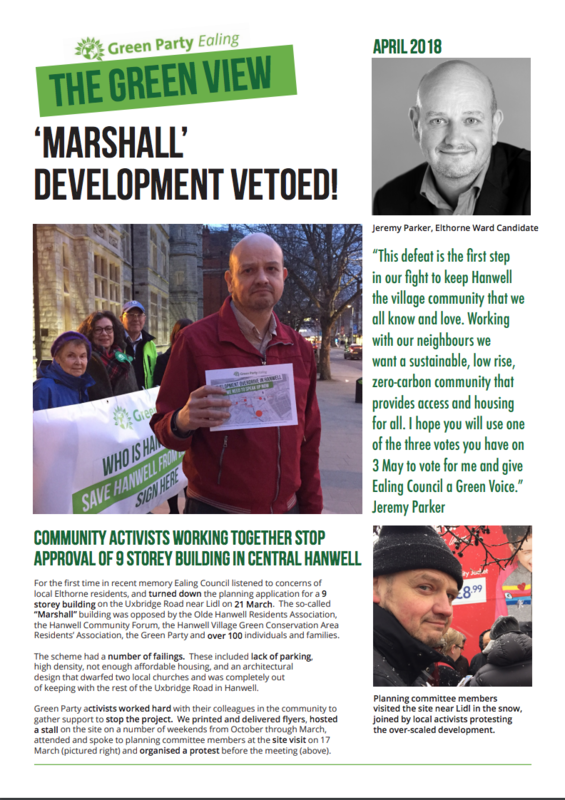 As well as remembering Claudia, people had come to demand that the Uxbridge Road, the main highway that runs through Hanwell, West Ealing and Ealing Broadway as it heads towards central London be made safer. 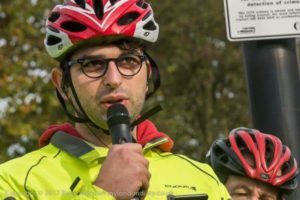 This incident is only the latest in a string of deaths and injuries that have stricken cyclists and pedestrians in recent years. The turnout for the demonstration was excellent, and the most moving moments came during the minute’s silence, held at the junction where Claudia met her fate, and later a tribute that was read out for her, first in English and then in the language of Italy, from where Claudia’s family hail. felt compelled to attend. 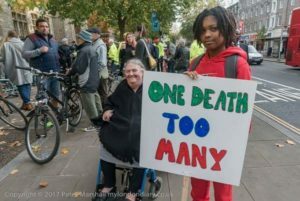 And we can only hope that the message of this protest has struck home, and that this will be the last time we come together to mourn a victim of Uxbridge Road’s deadly junction. 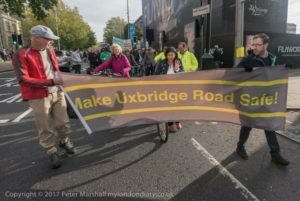 Of all the signs and banners on display, perhaps the most hard hitting one was directed at Ealing Council, condemning them for thirty years of prevarication regarding the dangers of this highway, even as cyclists and pedestrians suffered repeatedly. 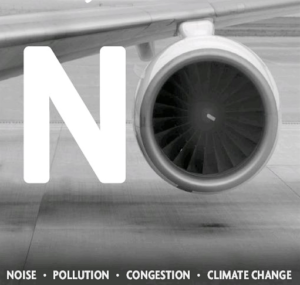 Surely now Enough is indeed Enough and something must be done. 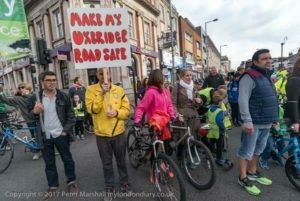 Time to make Uxbridge Road safe.